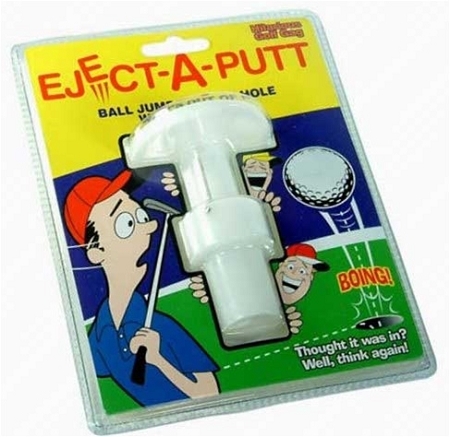 Just slip the Eject-A-Putt into a cup when your buddie's not looking and wait. When they finally drain it, watch the look on their face as the ball jumps right back out of the hole! This is a great golf gag gift for any golf lover.